resources. Based on an intuitive (Salesforce Look & Feel) Web interface SKYVVA´s Free Dataloader is very easy to configure (No Coding) and maintain. The Free Dataloader is installed as a tab ‘Integration’ directly in the Salesforce menu bar. Fields are mapped by a visual editor, data are transformed using a formula editor. 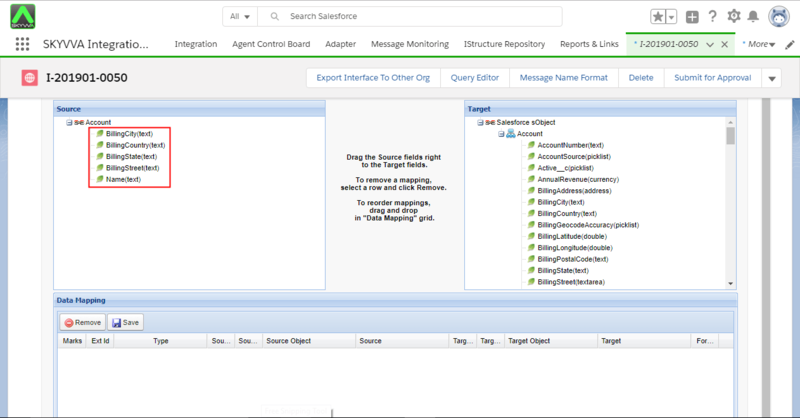 All operations are executed in the familiar Salesforce Look & Feel. Business analysts or administrator get alerted about failure in the service and are enabled to resolute data transforming or process logic without IT help via a message board. 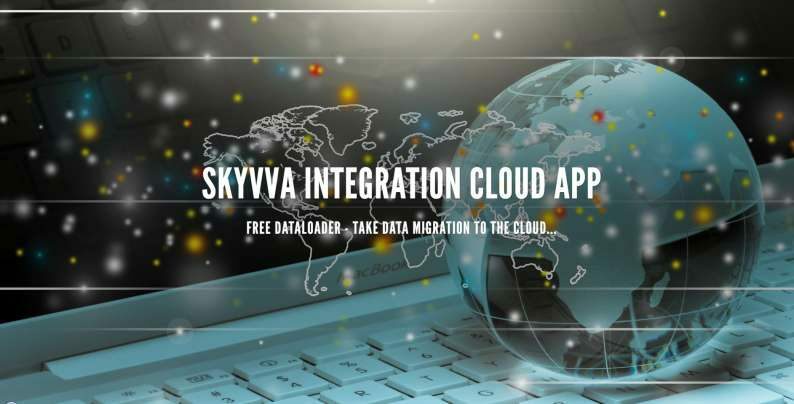 SKYVVA’s Data loader is a SKYVVA’s tool that you can upload file csv, xml to SFDC like manual load or mass manual load tools. Step 1. The first step is to create a new Integration to import our csv file. 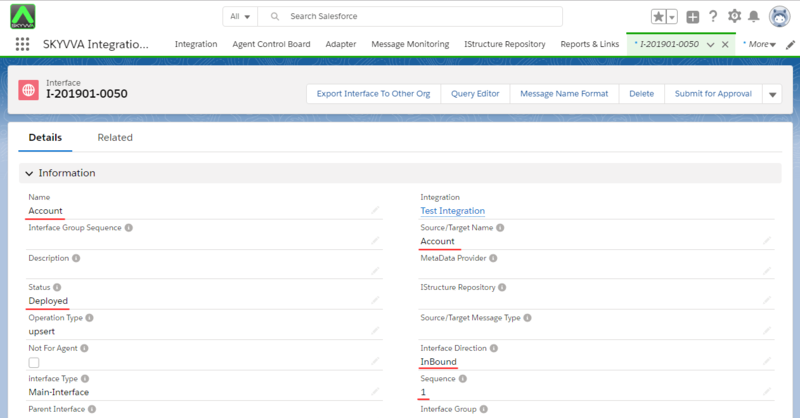 To create the Account structure we choose our CSV Separator (2) in ‘Source Definition’ Area and click on Search (3) and choose your csv file to upload and then click on ‘Save’ (4). After you have saved the uploaded csv file you get the message that our upload was successful and click on ‘OK’. We see now our account structure with the automatically generated account fields. After uploading the files you will have to drag any fields from Source to drop on Target. An External Id field is required to be used for synchronization with external system, so external id field must be unique in order to avoid duplicate records on each object. It is usually Name or AccountNo. Here is an example of Description formula when you want to add any formula in: Checks on Formula box at the right as in the picture and types any kinds of formula in. Clicks on Test Formula to see an output if it is true or fail than Save. After you map all fields, do the formula and choose the External ID, please Save. Just in case that you forget to save, all your Data Mapping will be lost later on. In the Data area we see the structure of our csv file and in ‘Total Records Found’ below you can choose which data you want to upload.